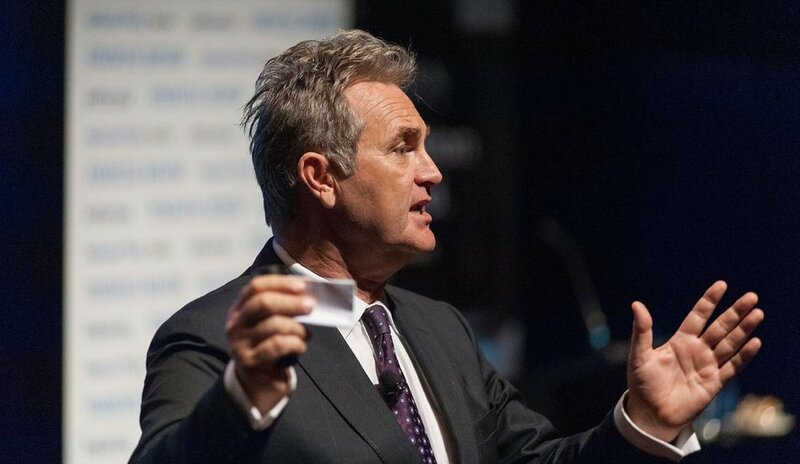 Bernard Salt AM is widely regarded as one of Australia’s leading social commentators, writers and speakers. His views on social, demographic and cultural change are sought daily by business, government and the media. Bernard is an experienced and compelling speaker. His presentations are always energetic, edgy and at times laugh-out-loud funny. His observations are insightful and his material is fact-based and tailored to individual audiences. Bernard recently made the top 25 ‘LinkedIn Top Voices Australia 2018’. Bernard speaks at all kinds of business events including keynotes at conferences, workshops, off-site retreats and boardroom briefings. He speaks regularly throughout Australia and New Zealand and internationally several times per year. He predicted the seachange shift last decade and in fact popularised the term nationally. Bernard was also one the first commentators to cite the rise of different workplace expectations between the generations. However Bernard is perhaps best known over recent years for his popularising of the term “smashed avocado” which is now recognised globally as a symbol of intergenerational differences. He used the term in a satirical column published in 2016 and since then it has spread globally. The Americans for example now refer to the avocado toast generation. What are the big demographic shifts that are shaping the consumer market, the tax-paying market, the retirement market in China, in the United States, in Canada, in Nigeria? Only The Demographics Group can offer bespoke demographic data visualisation on global markets delivered in an engaging narrative by experienced speakers. Where is the bachelor hotspot in Manhattan? What is the outlook for the labor market in Japan? How has life expectancy changed in the UK? What is the Trumpification Effect? Why should you invest in Australia? Where are the global immigrant fault lines? To find out more email or phone The Demographics Group to see how we can add value, impact and insight into your global conference. Bernard conducts workshops generally with boards and senior management teams. And mostly on matters relating to strategic planning and/or forward thinking. Workshops are typically conducted over a morning or an afternoon. The format involves Bernard delivering a presentation with original material followed by group discussion and a break. After the break Bernard facilitates a discussion about the important issues. The workshop then divides into groups to discuss solutions. Then Bernard facilitates group feedback and review around each table’s responses. Lots of fun. Lots of interaction. Lots of engagement. Energy levels are elevated for the entire workshop. Bernard tailors his presentations to the audience and to the event. A presentation can range from 20 minutes as an after-dinner speech to 50 minutes for a conference keynote. Bernard speaks without notes in a fluid and engaging style across an open stage. Delegates have access to take-away slide material which contains original data and graphics. All presentations conclude with a “what to do now” slide. Wherever possible Bernard takes Q&A which can range from a few minutes to an hour. This is where a good speaker shines. No script. No forewarning. Demanding off-the-cuff responses that are incisive, thought-provoking and at times downright funny. Bernard has spoken to all levels of business and government in every Australian state and territory. Generally it is the property, retail, health and financial services industries that have been most likely to engage Bernard to speak. But he has also found relevance in local government and in state and federal government departments as well as in businesses from tourism & leisure, the arts, various industry associations, banking & insurance, private equity, infrastrucure, manufacturing, real estate, all levels of education, information technology, agribusiness, media, logistics and many others. 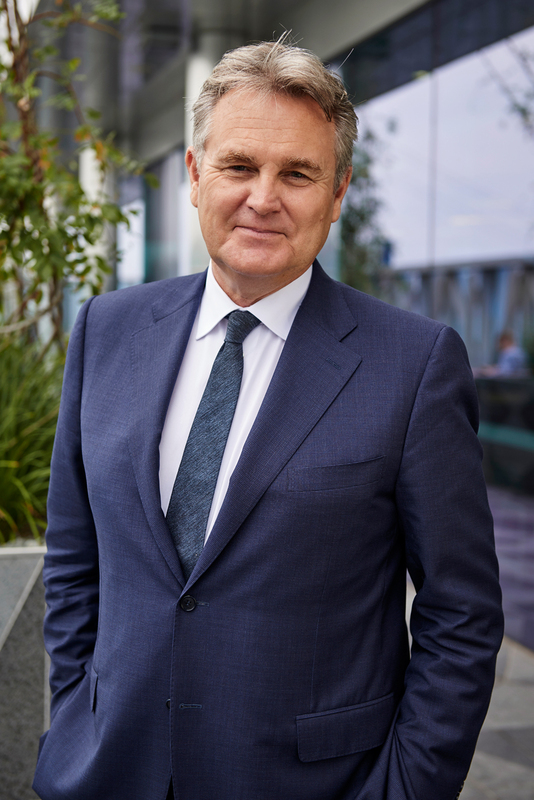 Bernard has spoken to corporate audiences across New Zealand, South East Asia, China, India, South Africa, South America, Central America, throughout the US and Canada, and also throughout Western Europe including London. Bernard has spoken at breakfasts, lunches and dinners, at boardroom briefings and at senior management retreats. He has delivered the keynote address at conferences in front of 3,000 delegates. He has presented to foreign language audiences through translators and to audiences in other cities and countries via satellite hook ups. He has delivered presentations in world cities and locations including Buenos Aires, Dublin, Barcelona, Cape Town, New Delhi, Beijing, Monaco, Luxembourg, NYC, the Cayman Islands, Madrid, Costa Rica and Ho Chi Minh City. Within Australia Bernard has spoken to local audiences in every capital city but also to audiences in regional areas such as Longreach (Qld), Merredin (WA), Ularu (NT), Port Fairy (Vic), Port Lincoln (SA), Dubbo (NSW), Devonport (Tas) and many others. Bernard has spoken to politicians in parliament house, to business leaders at CHOGM, to the indigenous community in Townsville, and to school groups in Alice Springs. In terms of charitable works and presentations Bernard has spoken to Anglicare, to the Salavtion Army, to the Red Cross, to the Anti-Cancer Council as well as to church, youth, sporting and volunteer groups more generally.